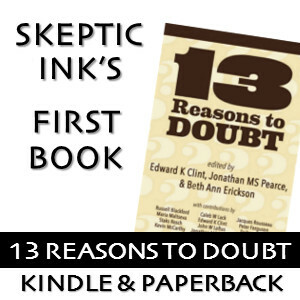 Edward founded Skeptic Ink with John Loftus to create a platform of discourse on topics in skepticism and secularism featuring some of the most intriguing and thoughtful minds from the intellectual landscape. Like John, Edward is committed to open inquiry and public discussion of religion, superstition, pseudoscience and their effects on society because they can each bring considerable harm. Hailing from Illinois, Edward returned three years ago after seven years in the Air Force. More recently, he graduated from the University of Illinois Urbana-Champaign (UIUC) with a BS in Psychology and has joined the Bioanthropology department at UCLA where he continues research in evolutionary psychology. While in the Air Force he had several occasions to fight religious proselytization and also served as a secular student leader while at UIUC. A former president of the Illini Secular Student Alliance with experience producing ad campaigns, debates, secular activism and protest, speaker events and other educational activities, and he was a primary organizer of the first regional Interfaith conference at the University of Illinois in 2012. 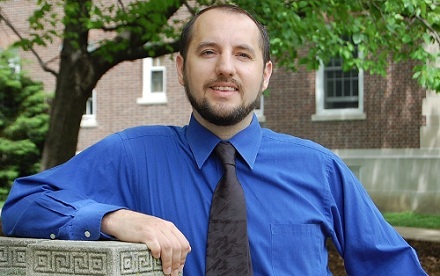 He has written for Center for Inquiry’s On Campus blog, Skeptic Money, the blog of the Illini Secular Student Alliance, and the Humanist Community Project at Harvard. Edward is also fond of speaking and has presented at the Secular Student Alliance Annual Conference, the Center for Inquiry Leadership Conference, the Illinois Conference on Interfaith Collaboration and has served as a panelist at Reasonfest. His senior undergraduate thesis paper on sexual dimorphism in spatial ability was published in December’s Quarterly Review of Biology.